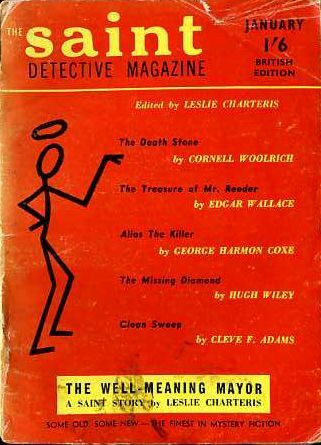 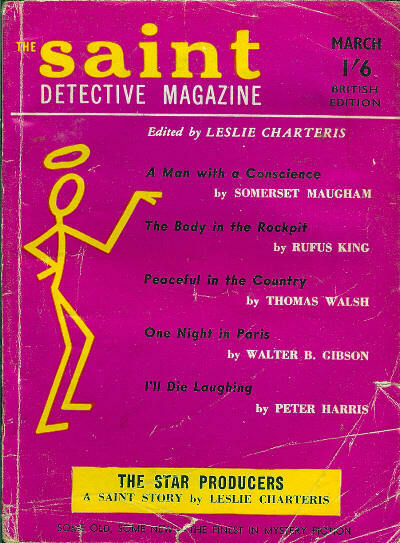 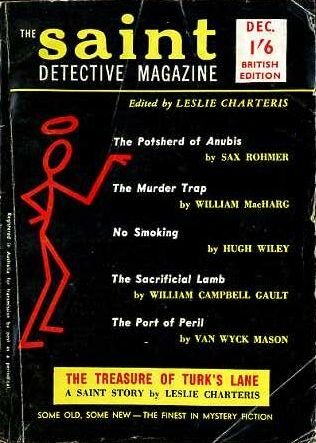 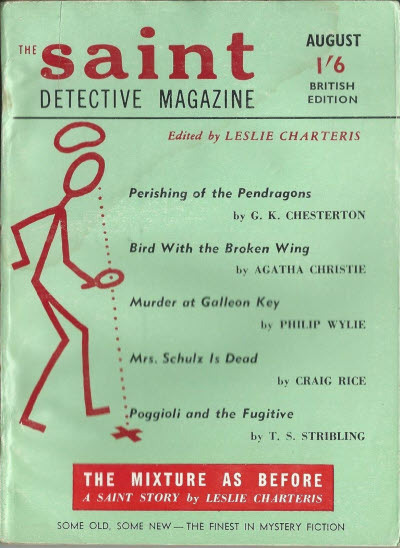 Gamblers Tale · Rodolfo J. Walsh; translated by Donald A. Yates · ss The Saint Detective Magazine Feb 1955; translated from the Spanish. 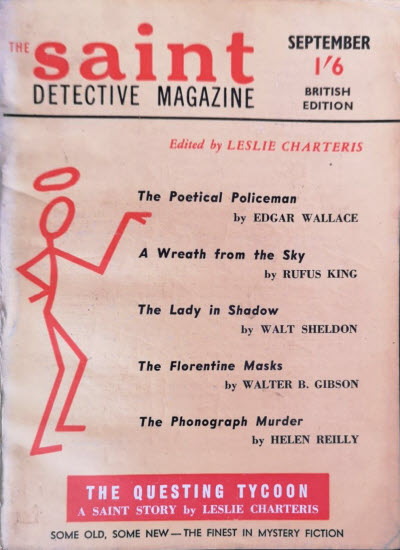 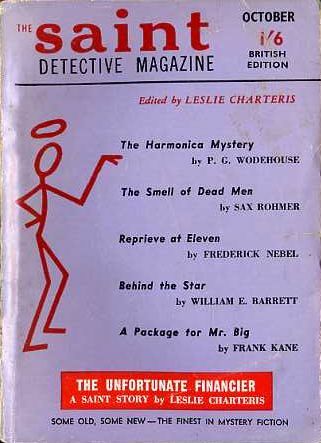 17 · The Harmonica Mystery · P. G. Wodehouse · nv All-Story Cavalier Weekly Mar 13 1915; revised from The Education of Detective Oakes (Pearsons, December 1914). 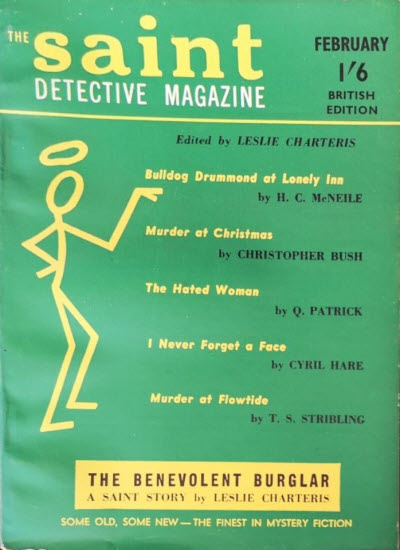 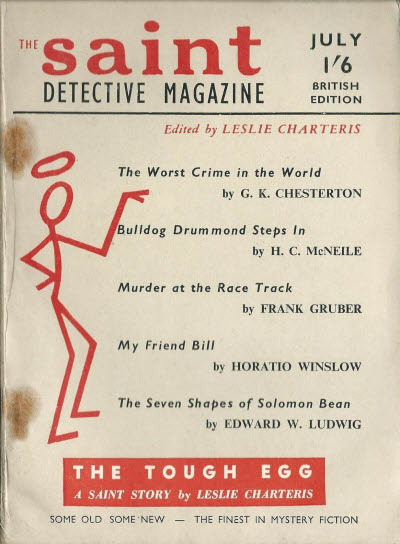 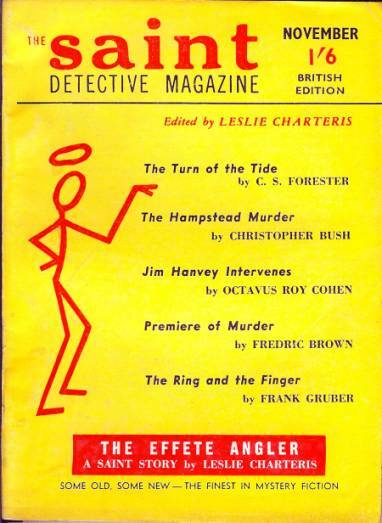 The Hampstead Murder · Christopher Bush · ss A Century of Detective Stories, ed. 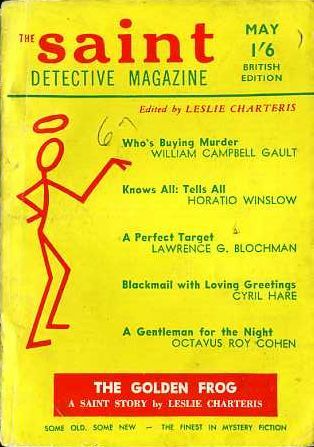 Anon., Hutchinson 1935; revised. 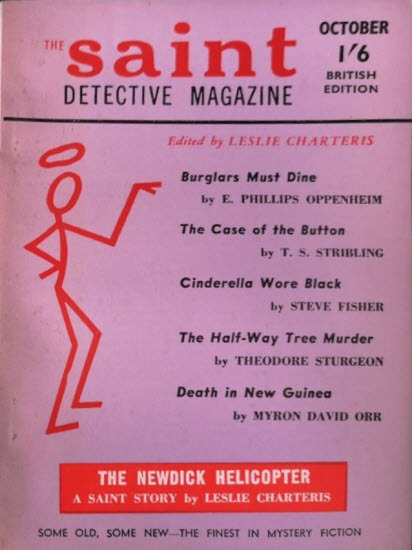 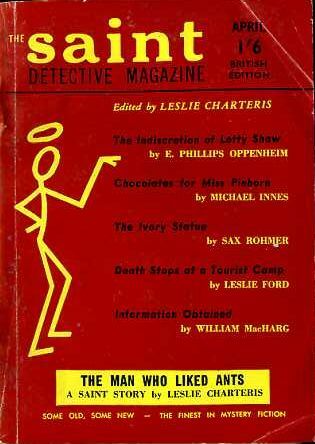 The Man Who Was Clever [Simon Templar (The Saint)] · Leslie Charteris · na Enter the Saint, Hodder 1930; abridged and edited. 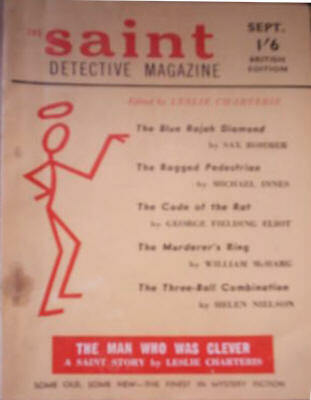 ; rewritten from The Five Kings (The Thriller #13, May 5, 1929).